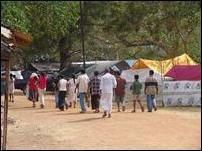 Large numbers of devotees are flocking to the Madhu Church in Mannar to celebrate the annual festival of the Church. The roads leading to the Church will remain open 24 hours from August 13 to August 18, according to Mr. Rupu Gunaratne, the Sri Lanka police officer in charge of the roads. According to Mr. Gunaratne, though devotees would be allowed to proceed without undue checking and delays, the vehicle owners should not forget to carry proper identity and registration papers. 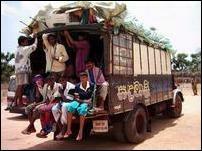 The Sri Lanka police has created nine teams for the inspection of vehicles. The SLA has drafted nine of it engineers to assist the police in inspecting vehicle numbers and engine numbers. The main celebration will be held on August 15, Sunday. 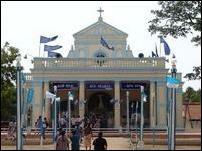 More than 350,000 devotees are expected to visit the Church. Meanwhile, Tamil Eelam Police Service, which provides security to the pilgrims in Madhu, as well as Sri Lanka Police, have banned alcoholic beverages from being taken to the Church. Though there is an acute shortage of water, the church administration said that it has taken action to provide adequate water to the pilgrims.